Acumin is an internationally established Cyber Security recruitment specialist. Operating since 1998, Acumin consulting has been working exclusively in the cyber security landscape with the world’s leading talent. Our unique understanding of the market and of the specific skill sets necessary across a range of role disciplines mean that we are the first choice amongst our network for placing talent in the right opportunities across permanent, contract and temporary staff across the contingency and retained models of recruitment. Acumin’s approach comes from a firm understanding of the market, we work with industry leading analysts and partner with content experts to continuously build on our knowledge resources. Acumin also spend the time to get know our clients’ businesses and their cultural nuances to ensure that we deliver with the clients overall organisational goals in mind. Not only are Acumin’s consultants Cyber Security Specialists, they also have their own individual focuses in the industry. This means you will have a dedicated and knowledgeable resource, partnering with you throughout the entire recruitment process. Acumin are the founders and valued partner of RANT Events, cyber security networking and debate focused events held throughout the UK. 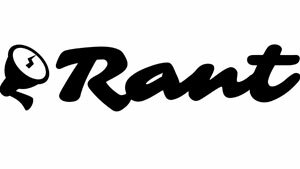 RANT is renowned for its fervent speakers, open and honest discussion & disruptive debate and is comprised of regional monthly networking Forums, Biannual Conferences, Round-tables & Webinars.